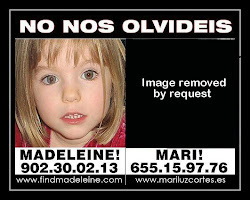 MARI LUZ CORTES : LIST OF MCCANN VICTIMS: Milly Dowler : A cheap and tacky shot...Milly the latest victim to be used and abused by the narcissists. Milly Dowler : A cheap and tacky shot...Milly the latest victim to be used and abused by the narcissists. “It happened in the blink of an eye”, said the QC in the trial of the man accused of kidnapping and murdering Milly Dowler. For any parent it is a bone-shuddering statement. For Milly’s mother and father what torment it must induce. Nausea, illogical guilt and dreadful anguish. One minute their beautiful 13-year-old daughter was ­walking breezily home, the next she was gone. How they must empathise with Kate and Gerry McCann. 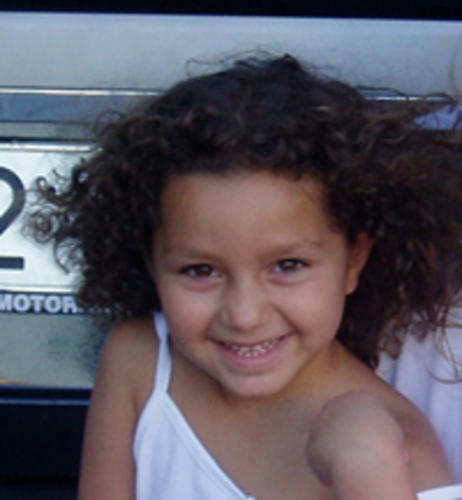 Madeleine, whose eighth ­birthday it was last week, also disappeared “in the blink of an eye”. And what have they been through these past four years. At least the Dowlers had their daughter back to bury and a trial is under way, as they await the verdict. Comfort of sorts. But for Kate McCann the pain remains brutal and unending. She’s tough though, isn’t she? We knew that when she didn’t cry for the cameras in those early days of media hysteria. We knew that when ­Portuguese police declared them suspects. But the truth is you and I knew nothing. We knew nothing really of what she was going through. We knew nothing of the façade she tried ­desperately to maintain for Madeleine, and for her own dignity. Well now we know the truth. Just read her book, read about the soul-wrenching hurt. Read about the guilt and read about her instinct to swim out to sea and not come back or to rip the skin off her body. Read it. And then pray you’ll never live the same hell as the McCanns or the Dowlers or many, many others.